The Word Lens mode is a technology that Google bought last year and currently supports English to and from French, German, Italian, Portuguese, Russian, and Spanish. There’s also enhanced Conversation mode. It separates the screen in two and allows for turn-by-turn speaking two different languages. In the video below you can see the enhanced conversation mode in action. Expect the update to hit the Google Play Store and Apple App Store in the coming days. 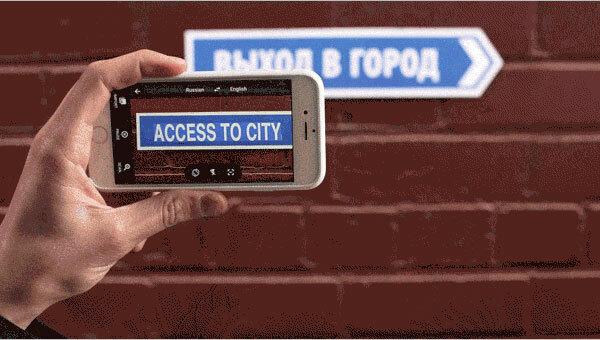 The future of the Google Translate app looks very promising indeed, but we hope they’ll improve its accuracy over what’s shown in the demo. As an observant reader pointed out “Выход” in Russian language means exit rather than access.